The theme for the 2019 Venice Buddhist Film Festival is “Troubling Times.” The Film Festival will run on four consecutive Sundays, March 3 through March 24, starting at 12 noon at the Venice Hongwanji Buddhist Temple. The VHBT Obon Festival will take place over the weekend of July 21-22, from 3PM-9PM. Odori practice begins Wednesday, June 27, from 7:00PM – 8:30PM. The VHBT ABA will be having their annual Aloha Breakfast. Come and have a delicious breakfast at the temple before attending morning service. 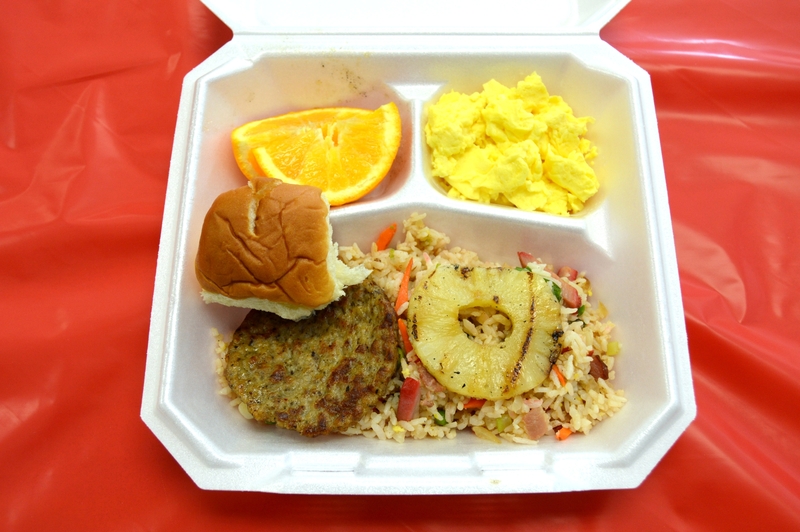 Special Recipe Chashu fried rice, eggs, sausage, orange / pineapple, with King’s Hawaiian Sweet bread.